Looking to pick up a new show, but not ready to buy an entire season of something you’ve never watched? 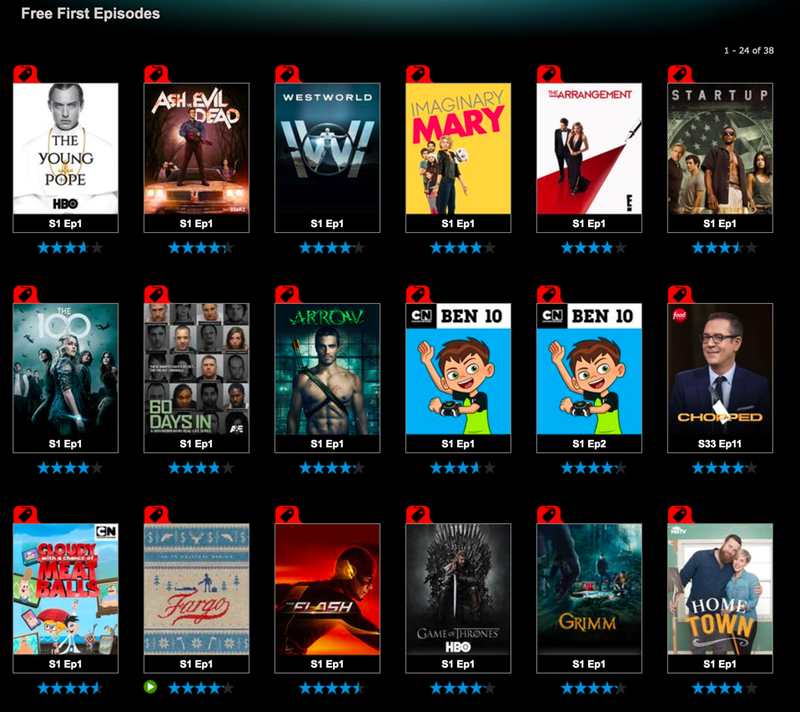 Vudu is offering downloads of a few different TV show pilot episodes in HD for free. That’s at least $3 under the price iTunes and Amazon charge. The titles available are Legion, Westworld, Planet Earth II, The Young Pope, The Flash, Supergirl, Games of Thrones, Fargo, Arrow and more. Legion, based on the Marvel Comics by Chris Claremont and Bill Sienkiewicz, is the story of David Haller (Dan Stevens), a troubled young man who may be more than human. Diagnosed as schizophrenic as a child, David has been in and out of psychiatric hospitals for years. Now in his early 20’s and free once again, David loses himself in the rhythm of the structured regimen of daily life: breakfast, lunch, dinner, therapy, medications, sleep. David spends the rest of his time in companionable silence alongside his chatterbox friend Lenny (Aubrey Plaza), a fellow patient whose life-long drug and alcohol addiction has done nothing to quell her boundless optimism that her luck is about to change. The pleasant numbness of David’s routine is completely upended with the arrival of a beautiful and troubled new patient named Syd (Rachel Keller). Inexplicably drawn to one another, David and Syd share a startling encounter, after which David must confront the shocking possibility that the voices he hears are real.